A South Bay hospital helped investigators nab a Los Angeles-area man impersonating a nurse. Ian Cull reports. 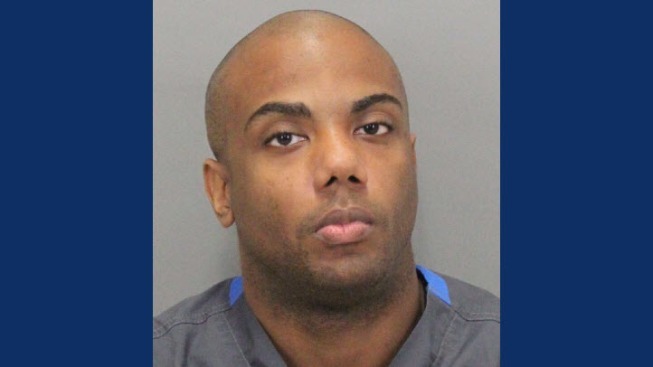 A South Bay hospital helped investigators nab a Los Angeles-area man impersonating a nurse. Investigators said Jeremy Daniel Griffin attempted to get work though Aya Healthcare, a traveling nurse company. Griffin was assigned to Saint Louise Regional Hospital in Gilroy. His information and nurse license number did not match when the company did a background check, officials said. "It's very disturbing that somebody could get that far just using somebody else's license number," said Lori Katterhagen, vice president of patient care for Saint Louise Regional Hospital. The State Consumer Affairs Department was contacted and also said the case was stolen identity. Hospital officials said they helped detectives when Griffin came into work on his first day. "He never went into patient care areas, but we started him in computer training so the investigator from consumer affairs could come in," Katterhagen said. Griffin was arrested shortly after. "It's always a threat to consumers when we have people in these positions misrepresenting themselves and potentially providing care to consumers," said Veronica Harms with the Department of Consumer Affairs. Detectives said the Saint Louise Regional Hospital incident is at least the second time Griffin has attempted to pull off impersonating a nurse. Griffin was once successful in the Los Angeles area and arrested for stealing from doctors, officials said. His motive in the Gilroy incident is not known at this time. Griffin faces four felony charges, including identity theft and false impersonation of another person. Consumers can check the license of professionals in California here. Investigators believe there may be more victims of Griffin’s alleged identity theft in the communities between Santa Clara and Los Angeles counties. If you suspect that you may be a victim of these crimes, they ask you contact Lead Investigator Rod Spaulding at the Department of Consumer Affairs Division of Investigation at 559-244-5658.